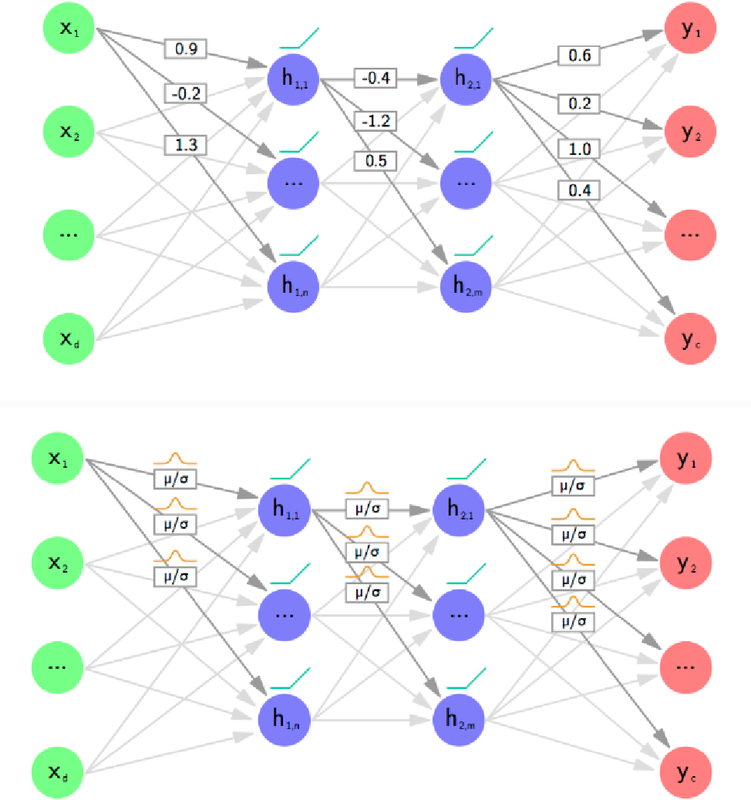 Artificial Neural Networks are connectionist systems that perform a given task by learning on examples without having prior knowledge about the task. This is done by finding an optimal point estimate for the weights in every node. Generally, the network using point estimates as weights perform well with large datasets, but they fail to express uncertainty in regions with little or no data, leading to overconfident decisions. 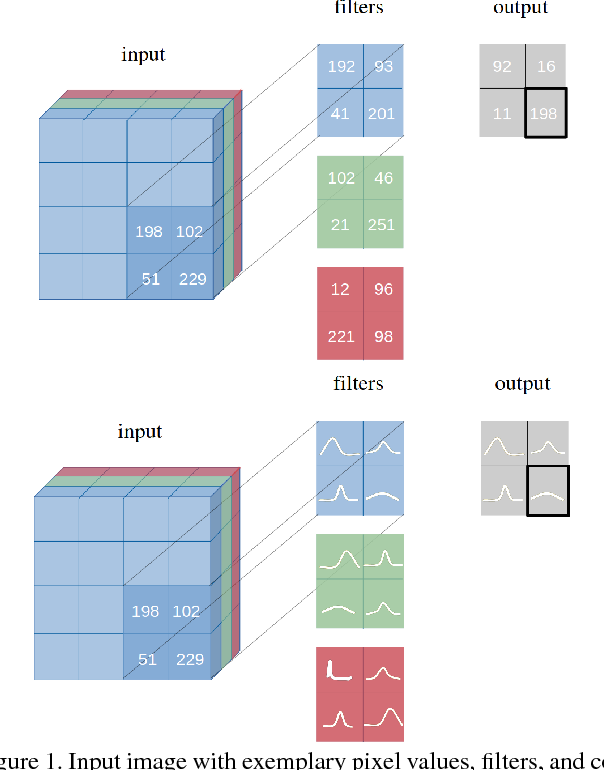 In this paper, Bayesian Convolutional Neural Network (BayesCNN) using Variational Inference is proposed, that introduces probability distribution over the weights. Furthermore, the proposed BayesCNN architecture is applied to tasks like Image Classification, Image Super-Resolution and Generative Adversarial Networks. 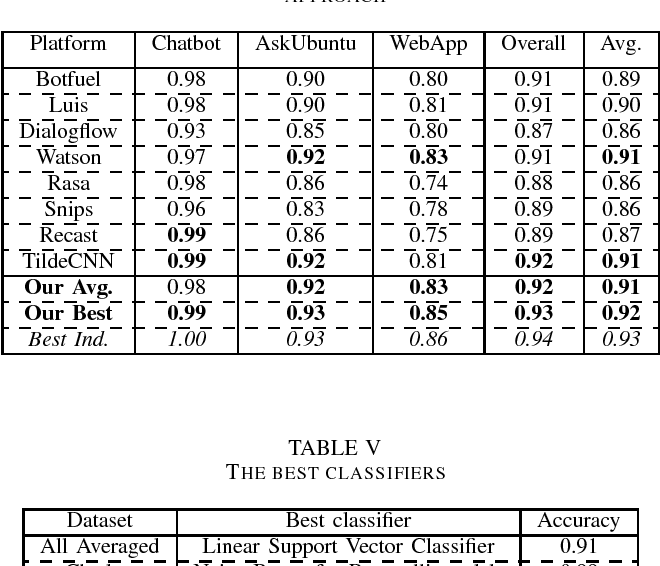 The results are compared to point-estimates based architectures on MNIST, CIFAR-10 and CIFAR-100 datasets for Image CLassification task, on BSD300 dataset for Image Super Resolution task and on CIFAR10 dataset again for Generative Adversarial Network task. 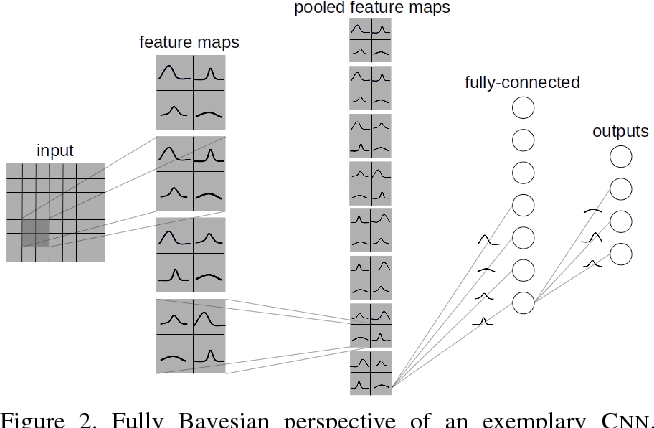 BayesCNN is based on Bayes by Backprop which derives a variational approximation to the true posterior. We, therefore, introduce the idea of applying two convolutional operations, one for the mean and one for the variance. Our proposed method not only achieves performances equivalent to frequentist inference in identical architectures but also incorporate a measurement for uncertainties and regularisation. It further eliminates the use of dropout in the model. Moreover, we predict how certain the model prediction is based on the epistemic and aleatoric uncertainties and empirically show how the uncertainty can decrease, allowing the decisions made by the network to become more deterministic as the training accuracy increases. Finally, we propose ways to prune the Bayesian architecture and to make it more computational and time effective. 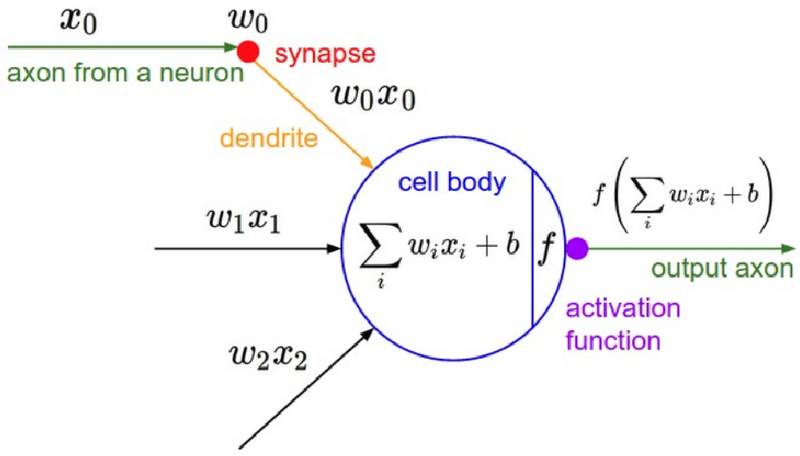 We introduce Bayesian Convolutional Neural Networks (BayesCNNs), a variant of Convolutional Neural Networks (CNNs) which is built upon Bayes by Backprop. We demonstrate how this novel reliable variational inference method can serve as a fundamental construct for various network architectures. On multiple datasets in supervised learning settings (MNIST, CIFAR-10, CIFAR-100, and STL-10), our proposed variational inference method achieves performances equivalent to frequentist inference in identical architectures, while a measurement for uncertainties and a regularisation are incorporated naturally. 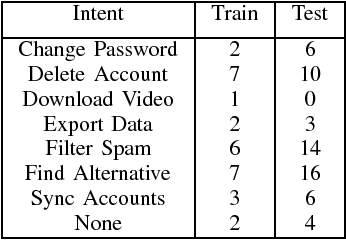 In the past, Bayes by Backprop has been successfully implemented in feedforward and recurrent neural networks, but not in convolutional ones. This work symbolises the extension of Bayesian neural networks which encompasses all three aforementioned types of network architectures now. 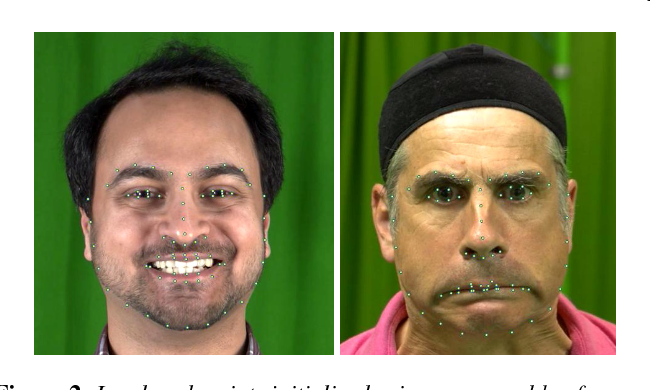 We present a simple lightweight markerless facial performance capture framework using just a monocular video input that combines Active Appearance Models for feature tracking and prior constraints on 3D shapes into an integrated objective function. 2D monocular inputs inherently lack information along the depth axis and can lead to physically implausible solutions. In order to address this loss of information, we enforce a constraint on our objective function within a probabilistic framework that uses preexisting animations obtained from accurate 3D tracking systems, thus achieving more plausible results. Our system fits a Blendshape model to tracked 2D features while also handling noise in estimation of features and camera parameters. 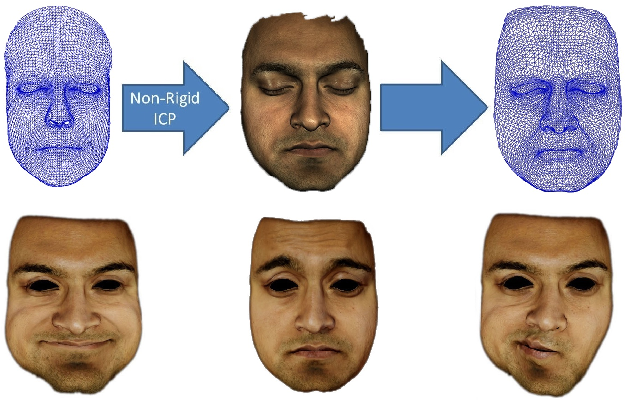 We learn separate constraints for the upper and lower regions of the face thus maintaining flexibility. We show that using this approach, we can obtain significant improvement in tracking especially along the depth dimension. Our method uses easily obtainable prior animation data. 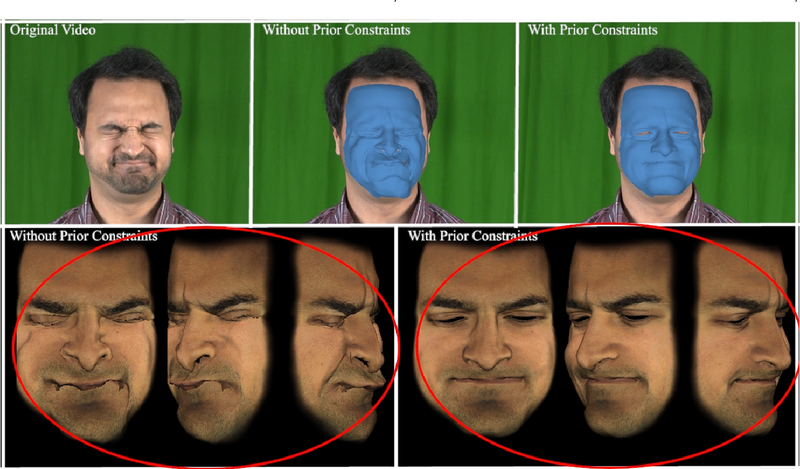 We show that our method can generate convincing animations using only a monocular video input. We quantitatively evaluate our results comparing it with an approach using a monocular input without our spatial constraints and show that our results are closer to the ground-truth geometry. Finally, we also evaluate the effect that the choice of the Blendshape set has on the results of the solver by solving for a different set of Blendshapes and quantitatively comparing it with our previous results and to the ground truth. We show that while the choice of Blendshapes does make a difference, the use of our spatial constraints generates results that are closer to the ground truth.